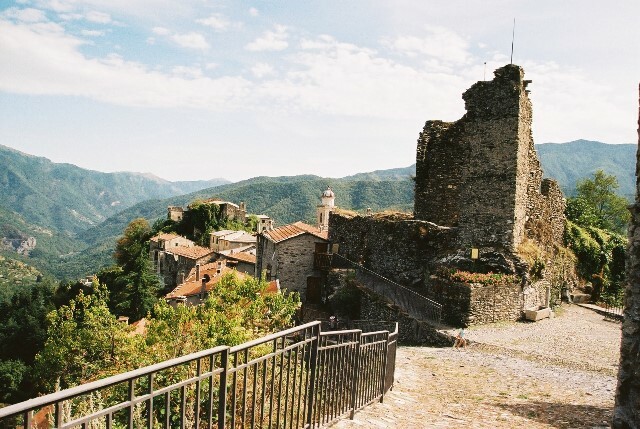 Triora is one of a collection of ancient hill towns that grace the lovely Argentine valley in the region of Liguria, close to the French border and 1 ½ hours' drive from Nice airport. Being near the top of the valley it is very open and sunny yet it is surrounded by dramatic mountain scenery perfect for walking, rock climbing, mountain biking and even river swimming. It is a 30 to 40 minute-drive to the Mediterranean coast. The entire old part of the town is closed to traffic and it is endlessly fascinating to wander through the maze of cobbled streets admiring some fine slate carvings over the doorways and soaking up the atmosphere of centuries past. Much of the architecture dates back to the 12th century, but Triora's period of greatest fame was during the 16th century when a number of witch trials were conducted by the Inquisition. The town has an interesting museum of witchcraft and local traditions, and to this day has a powerful association with witches. 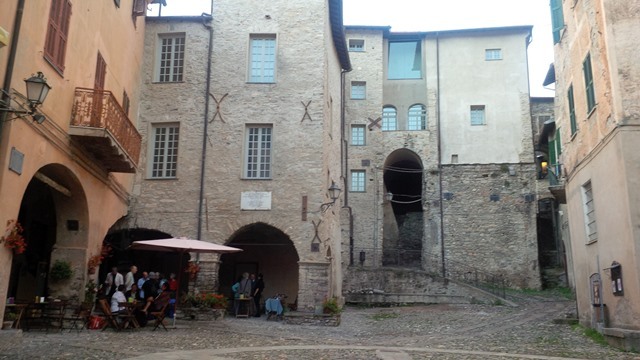 Facilities in the town include a general supply store, a famous delicatessen, an excellent restaurant/ pizzeria and three bars serving coffee, breakfast, snacks and light lunches as well as artisan beers and wine. Opening hours vary with the seasons so we will update you on arrival. 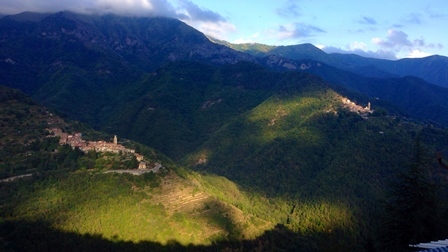 The nearest bancomat is in Molini, the next village down the valley. There is a path that connects with Triora but it is fairly steep and takes around 30 minutes. It is a good idea to bring Euros cash with you, but the restaurant will take debit and credit cards. As Triora is in the mountains much of the weather is made in front of your eyes, so don't take too much notice of the forecasts! 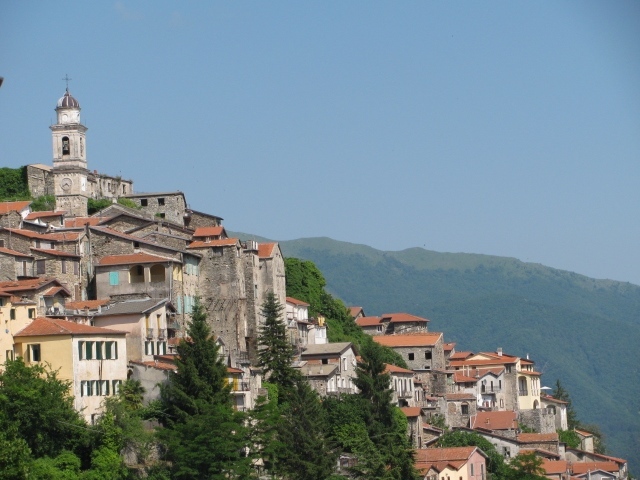 At 760 metres above sea level the air is clearer and fresher than on the coast and it enjoys far more sunshine than most of the other towns in the valley. However, sudden storms can blow in and even in summer it is a good idea to bring some waterproofs. The good news is that the storms rarely last very long and can be very exciting!